Ernie Pyle Theater, Tokyo, c. 1950. The Takarazuka Theater, at Yurakucho, was requisitioned by Occupation forces from 1945-1952 for use as movie and stage theater for Allied military personnel. During this time it was named the “Ernie Pyle” theater, after the American journalist killed in 1945 during the Iwo Jima campaign. 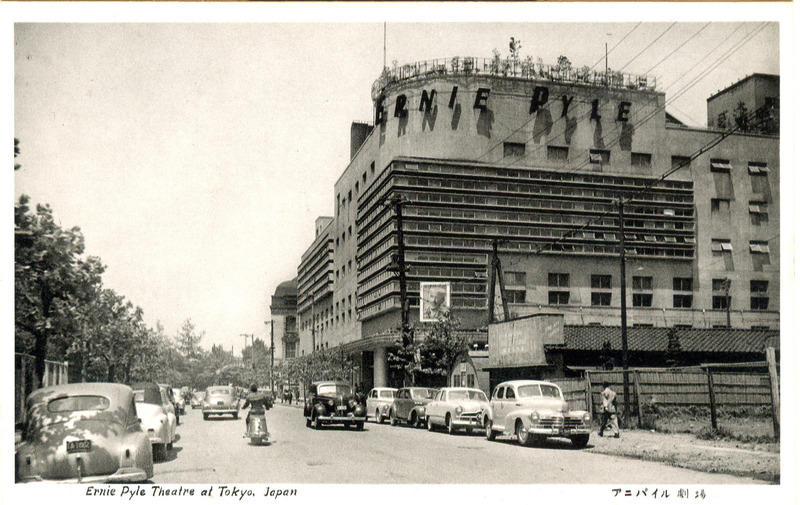 Ernie Pyle Theater, Yurakucho, Tokyo, c. 1950.